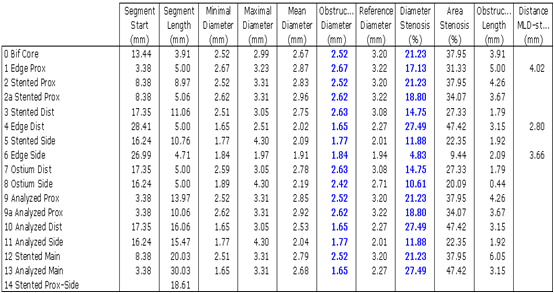 Classification of lesions based on stenosis morphology: type A, B1, B2 or C.
Measurements of coronary stenosis: minimal luminal diameter, reference diameter, etc. 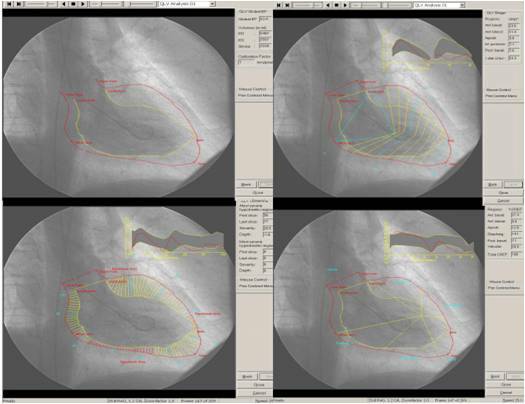 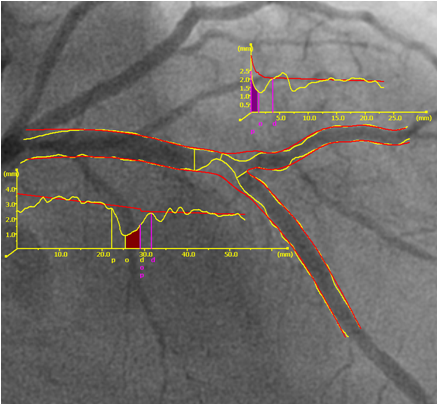 Analysis of special types of coronary stenosis: bifurcations and ostial lesions, among others. 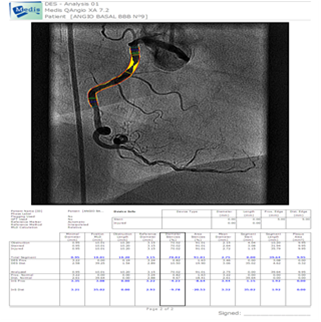 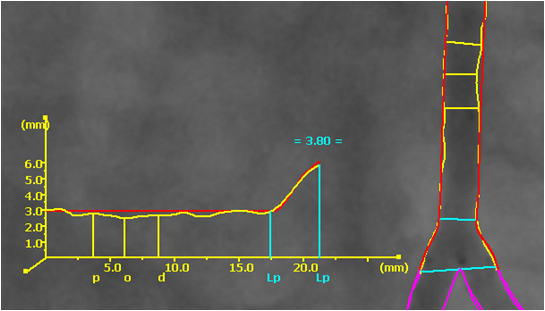 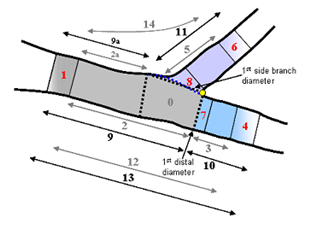 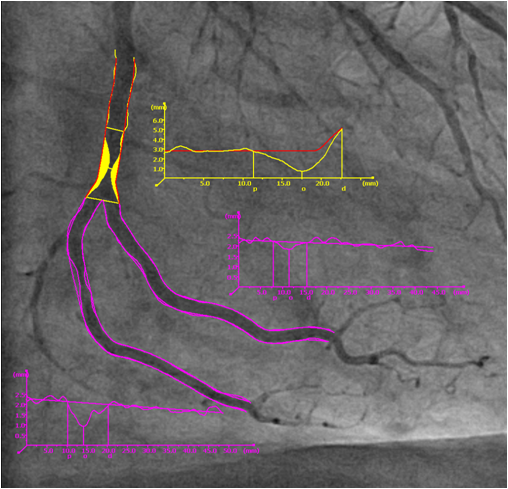 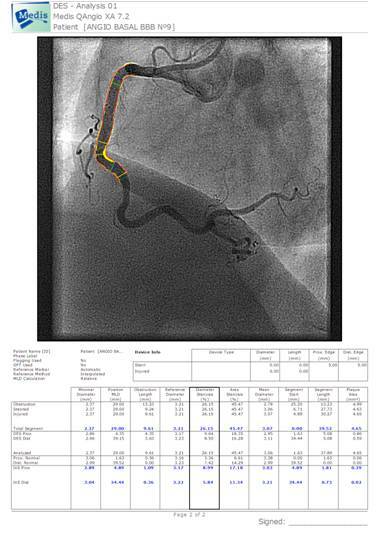 c) Measurements and analysis of epicardial flow: TIMI flow grade, TIMI frame count (TFC) and corrected TIMI frame count (cTFC).